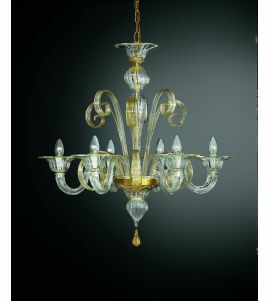 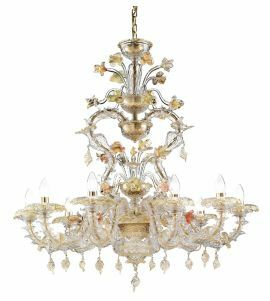 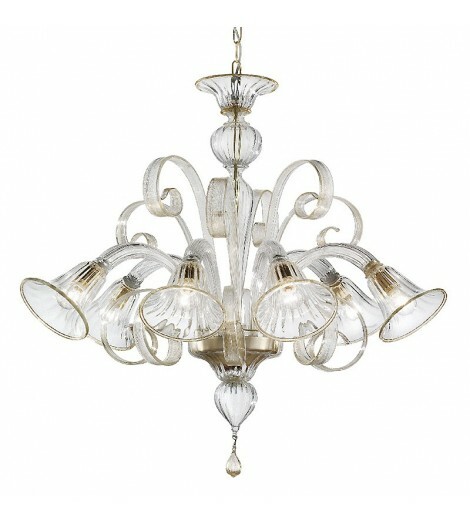 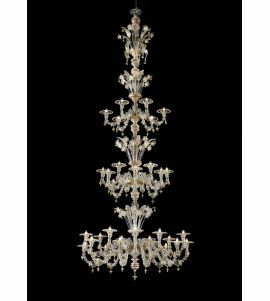 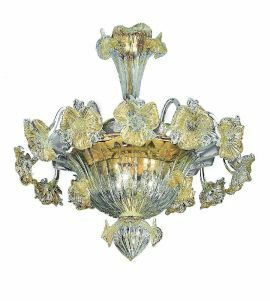 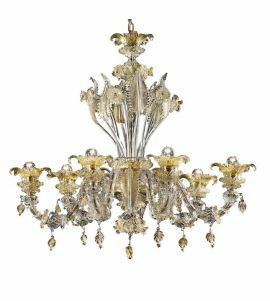 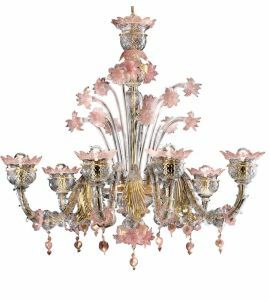 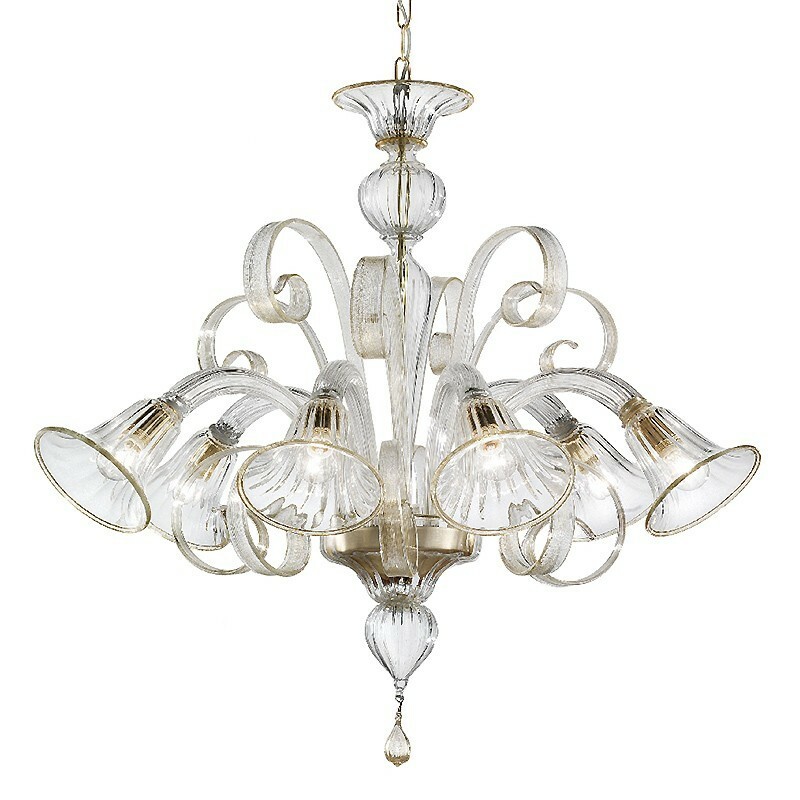 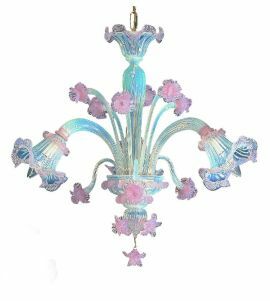 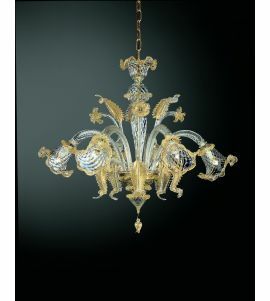 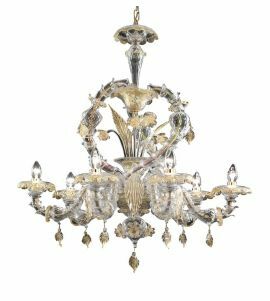 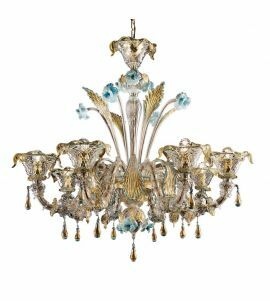 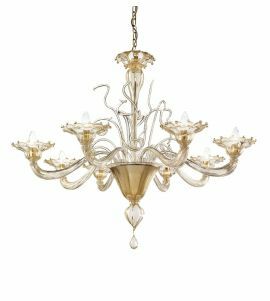 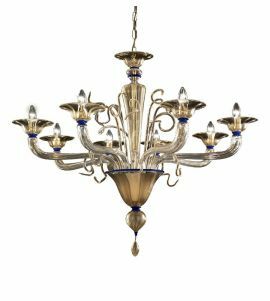 Glass Chandelier from Murano in crystal and gold in 5 and more lights with leaves and flowers very rich of decors applied on the central stem. 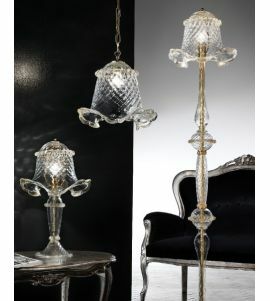 Each piece is worked only by hand. 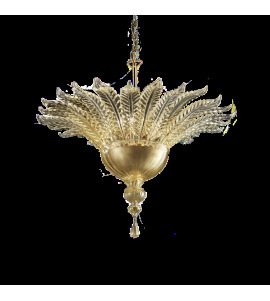 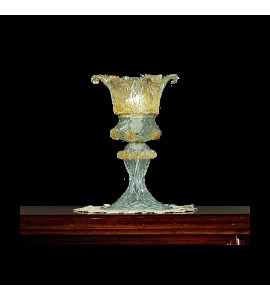 The lamp is composed of cups, leaves and one or more flowers. 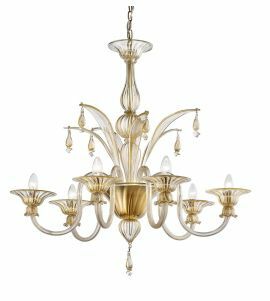 With the product, we provide all the wiring for Europe and/or the USA, instructions for installation, after-sales service in case of breakage. 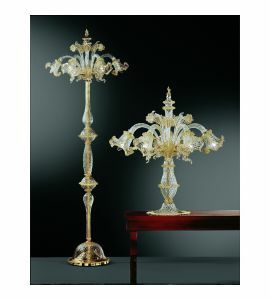 We make custom pieces upon request. 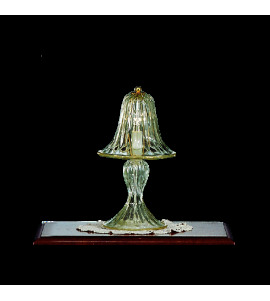 Packaging under vacuum.